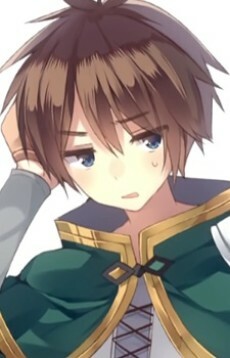 A hikikomori (shut-in), otaku and NEET, Kazuma arrives in the afterlife after a traffic accident and decides to go to another world to defeat the Demon King, taking Aqua with him. He has the weakest job of 'Adventurer', but has decent intelligence and extraordinarily high luck. This is demonstrated whenever he uses his 'steal' skill.